The fire district wrote on Twitter at 7:46 a.m. about the incident taking place in the area of northbound Highway 101 near Atherton Avenue in Novato. Novato Fire District is on scene for a HazMat incident NB 101 at Atherton. Unknown substance at this time. Updates to follow. 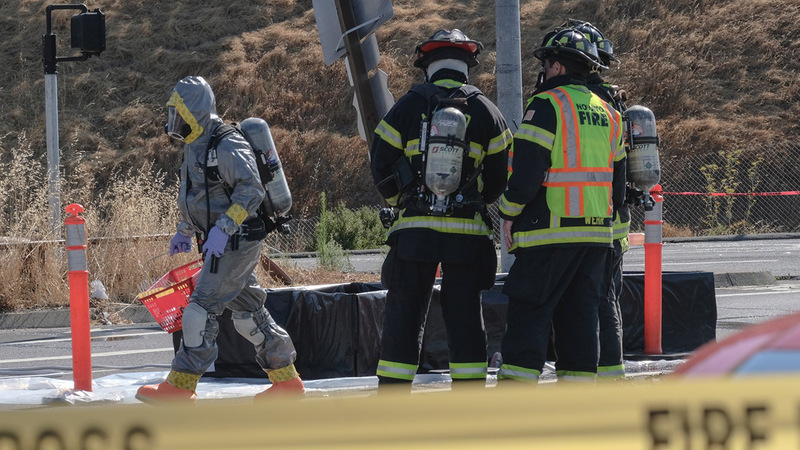 The Atherton/San Marin Overpass is closed due to hazmat incident. The incident involved some sort of substance spilled on the roadway, according to the California Highway Patrol. No other details were immediately available.